Hurricane Florence slammed into the East Coast early in the morning on Sept. 14, bringing with it category 1 winds and life-threatening storm surges. Residents of the areas in the hurricane’s path were instructed to evacuate due to the threat of the hurricane. For The Bridge at Charleston, South Carolina, this meant evacuating 29 residents to safety ahead of the storm. Leadership at the community had less than 24 hours to evacuate residents and work out logistical challenges involved with moving so many residents to another community – in this case, The Bridge at Lawrenceville in Georgia. 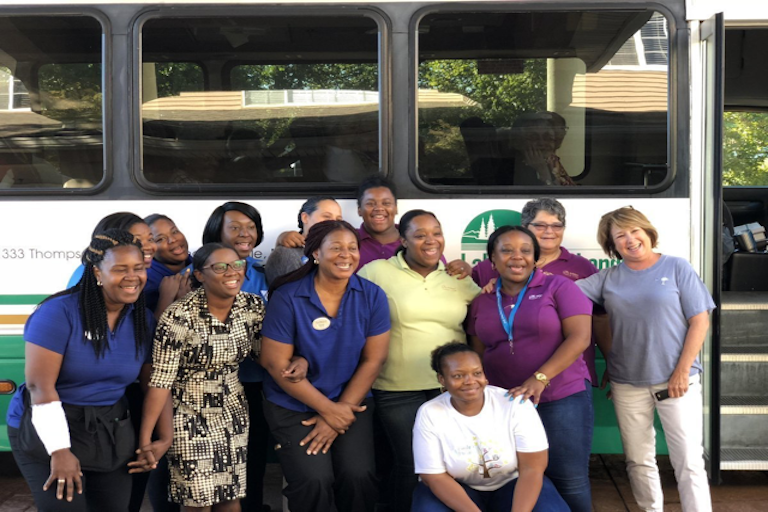 The Bridge at Charleston also sent seven staff members along to help keep the residents comfortable and have familiar faces during what could be a stress-inducing time. Some of the residents were understandably nervous, but most of them had been through evacuations before. 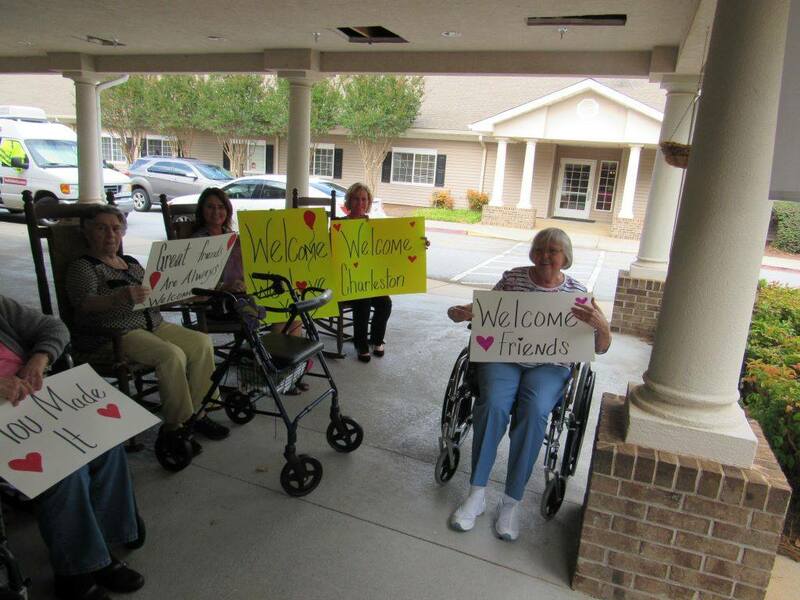 When they arrived at the Lawrenceville community, they were greeted with signs welcoming them to the area and wishing them a happy stay. The Bridge at Lawrenceville went above and beyond to ensure the comfort of those evacuating the Charleston area. 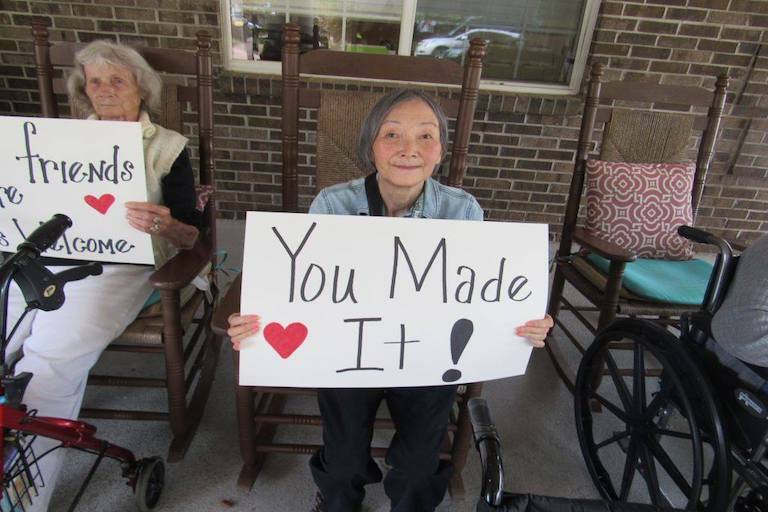 All of this happened during National Assisted Living Week, a one-week celebration of assisted living facilities across the nation. Century Park communities plan events and gatherings throughout the week, and The Bridge at Charleston didn’t want its residents to miss out on the events they had planned. So instead of cancelling the events, the facility brought the party with them to Lawrenceville. 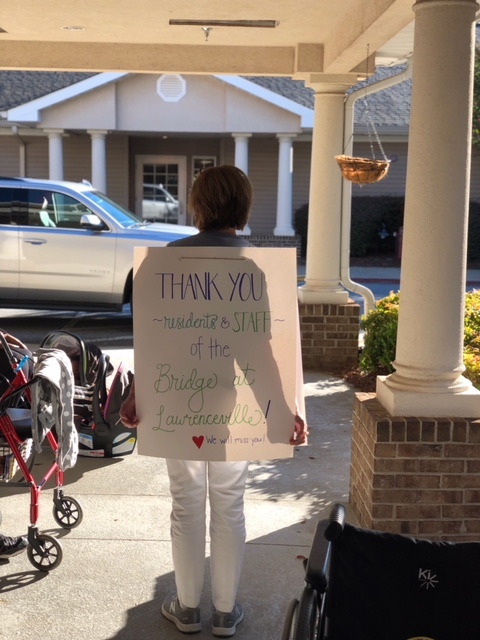 Associates packed up all of their National Assisted Living Week materials and combined activities with The Bridge at Lawrenceville to ensure that, even in an unexpected situation, all the residents had the chance to celebrate together. Residents came up with bucket lists, attended a family barbecue and even partied with an Elvis tribute artist at a black-and-white themed party. 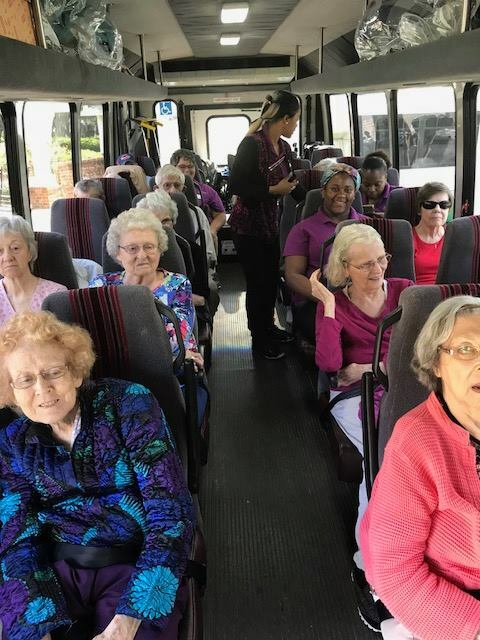 The various events helped ensure the residents enjoyed their time at the community, and gave them a chance to get their mind off of the hurricane. The Bridge at Charleston’s team was allowed to return on Tuesday, Sept. 18. Many residents and associates feared damage to their homes, but arrived to find no storm damage to the building or the surrounding area. 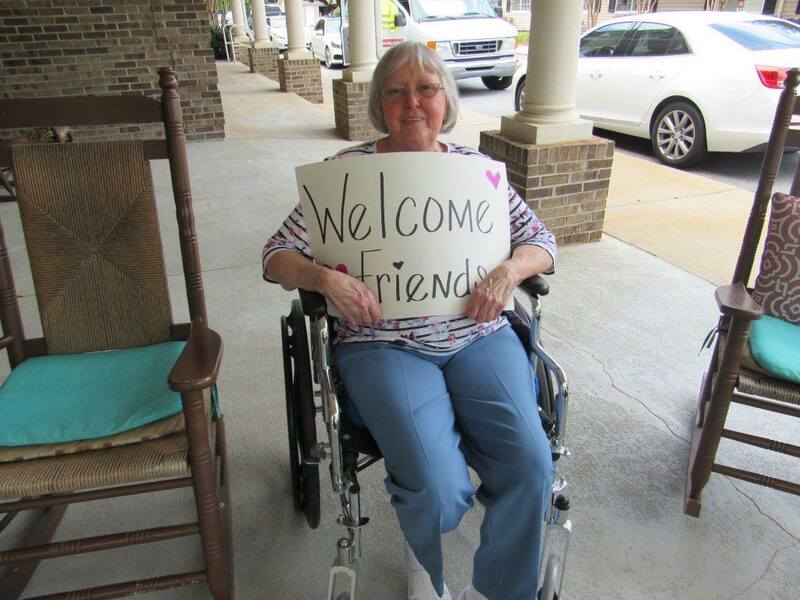 Breathing a sigh of relief, the residents and team began to unpack and settle back in to their home, reminiscing on their week-long stay with their new friends at The Bridge at Lawrenceville.